May John Paul’s memory be eternal. 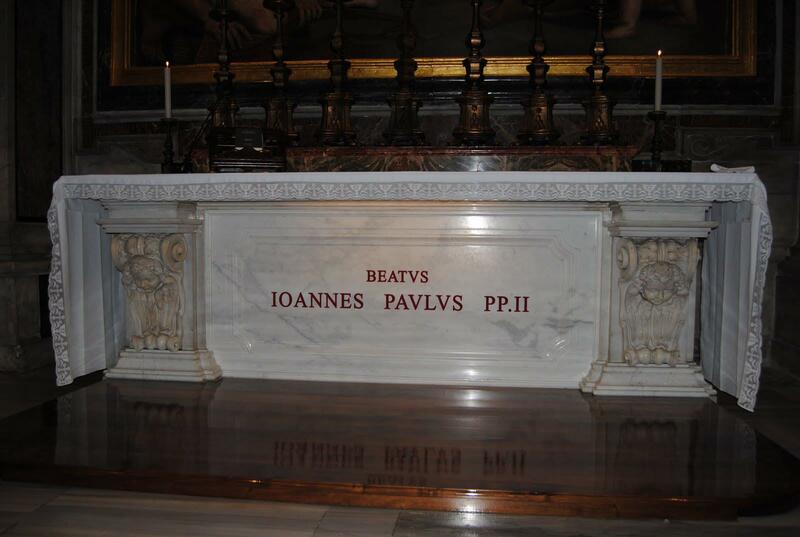 Thinking about Blessed John Paul with Vatican Radio. The Catholic Moment is over … where does hope exist? The news media is hot to assess the Church and her legacy in the wake of Benedict XVIs abdication announcement on February 11, 2013. And, to be honest, much of the assessment is tedious and lacking substance, even from veteran and well-known and reliable Catholic thinkers. No shortage of prattle. Pick up the daily paper or turn on the TV/radio news and you will be treated to comparisons and rumination between the still current papacy (the Pope is not gone yet) and the previous one but too often with secular criteria and interests. Judging the pope and the Church with criteria other than a focus on God and the proclamation of the Gospel is not faithful. The media, we have to recognize, is not too conversant in matters of Catholic faith. In fact, they generally so very little and merely repeat clichés. Far more people are interested in questions of power, authority, the teaching, the numbers of faithful, “successes” and “failures,” the position of “the pope who resigned” and the like than they are in matters pertaining to the Word of God, the salvation of souls and to eternal life. Ross Douthat’s editorial, “The End of a Catholic Moment,” is correct and sad but true. His final thought is interesting and I with curiosity to see how and who will lead us both in the Church universal and in America…. MOST Catholics, the informed and untrained, have no idea what the Church teaches about the subject. 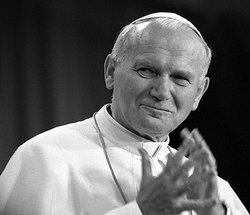 Many will recall that Pope John Paul II taught in Evangelium vitae (1995) and that he frequently spoke against the death penalty and it was the subject of intervention when he would visit a country where the death penalty was utilized (think of his visit to Missouri). A papal encyclical doesn’t change the teaching of the Church; it is however authoritative and it needs to be received. The matter of what level teaching an encyclical is, and to what degree it would bind conscience. For our purposes here, let’s say that a papal encyclical is authoritative and it involves the virtue of prudence but that it doesn’t contravene but it does nuance the teaching of the Church. Prudential judgment is just that, prudential. The Pope never changed the teaching of the Church. The blessed pope did try to reorient our thinking and the practice of killing legitimately convicted criminals. Remember, too, several years the heated debated between Cardinal Avery Dulles and Justice Scalia on the subject in First Things? Father Rutler’s article is helpful in giving us yet another understanding of how we might understand the death penalty. Do we actually accept Christian belief in the salvation of one’s soul, that is, do we want to go to heaven? Read the article with openness, with a critical mind. As Saint Ignatius would teach, approach with the best of intentions to truly understand the other person. Knee jerk reactions are unacceptable for a Catholic who holds the integration of faith and reason. Father Rutler’s argument is Catholic on all levels. The Holy See has approved today as the liturgical memorial for Blessed Pope John Paul II. The opening collect, below, is the only prayer for the memorial and it does not appear in the Roman Missal. saving grace of Christ, the sole Redeemer of mankind. mandate. Education and service of the poor? The work of knowing the contours of religious freedom are not for an elite group of Catholic academics, or the clergy, or the daily communicant. It is important for each of us to understand, and to live, and to share with others the fruit of a living faith in Christ. These issues have me searching for what the Church has said and is saying. John Paul II helps to begin to frame the issues.